Integrated Sequencing and Scheduling, a class of problems typically arising in production planning: For a given set of goods, a minimum cost processing sequence has to determined. The cost of a sequence highly depends on the corresponding (non-trivial) scheduling decisions taken, e.g. the scheduling of setup work. Basis Sequencing aims for a minimum cost sequence of a set of given items. In contrast to the previous problem class, the cost incurred by an item solely depends on the neighboring items or on the item's completion time. Basic sequencing problems often occur as a subproblem in integrated sequencing and scheduling, and hence, insights on these problems are of great value. Turnaround Scheduling, a field of scheduling problems which result from shutting down industrial plants for maintenance. These problems are characterized by time-cost tradeoff, precedence constraints, hiring external resources, resource leveling, different working shifts, and risk analysis. We seek for insights into the structure and complexity of these problems, which then need to be transferred into efficient algorithms, aiming to produce provably good solutions also for large real-world problems within an appropriate computing time. Realistic data is available from cooperations with T.A. Cook Consultants, PSI Metals and Salzgitter Flachstahl, and Sachsenmilch, respectively (10.000 - 100.000 activities for turnaround scheduling, and two examples from sequencing and scheduling, one from coil coating with 20-40 coils, and another one from dairy industry with 30-40 jobs). Scheduling and Packing Malleable and Parallel Tasks with Precedence Constraints of Bounded Width. On Eulerian extensions and their application to no-wait flowshop scheduling. An experimental and analytical study of order constraints for single machine scheduling with quadratic cost. On the performance of Smith's rule in single-machine scheduling with nonlinear cost. Decision Support and Optimization in Shutdown and Turnaround Scheduling. Gellert, Torsten and Höhn, Wiebke and Möhring, Rolf H.
Sequencing and scheduling for filling lines in dairy production. Optimization Letters, Vol. 5, pp. 491–504, 2011. Special issue of SEA 2011. Höhn, Wiebke and König, Felix G. and Lübbecke, Marco E. and Möhring, Rolf H.
Integrated Sequencing and Scheduling in Coil Coating. Management Science, Vol. 57, pp. 647–666, 2011. Scheduling and Packing Malleable Tasks with Precedence Constraints of Bounded Width. 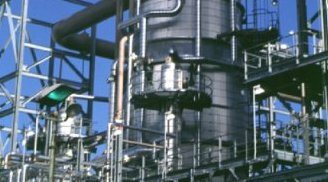 Turnaround Scheduling in Chemical Manufacturing. In Proceedings of the 8th Workshop on Models and Algorithms for Planning and Scheduling Problems (MAPSP 2007), 2007.